The 2015 Honda CR-V wowed customers with a hot new look, an efficient and powerful new engine, and a number of new standard and available features to enhance the driving experience. It also won a whole lot of awards including but not limited to the Cars.com/USA Today/Motorweek 2015 Compact SUV Challenge winner award, U.S. News & World Report’s 2016 Best Cars for Family award for SUVs, and KBB.com’s Best Buy award for small SUVs/crossovers. Honda is upping the ante for the new model year by introducing a new Special Edition trim for the 2016 CR-V. The 2016 CR-V SE will slot in above the LX trim, adding 17-inch alloy wheels with two-tone finish, second-row and rear privacy glass, and a standard security system. Including destination and other applicable fees, the 2016 Honda CR-V SE will start at $24,395 with front-wheel drive and $25,695 with all-wheel drive. 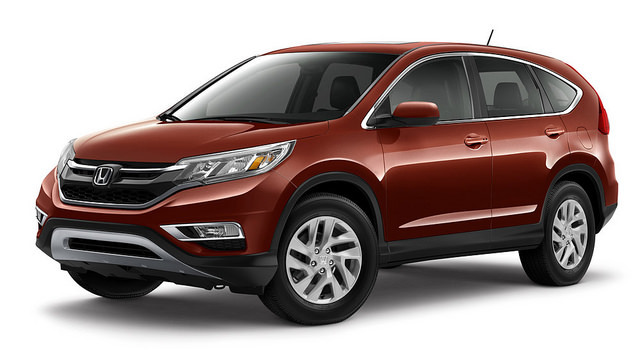 If you’re looking to upgrade to a new SUV, there are none better than the 2016 Honda CR-V.